exposarazzi: LeAnn Rimes new webstore: Merchandise of the clinically insane! 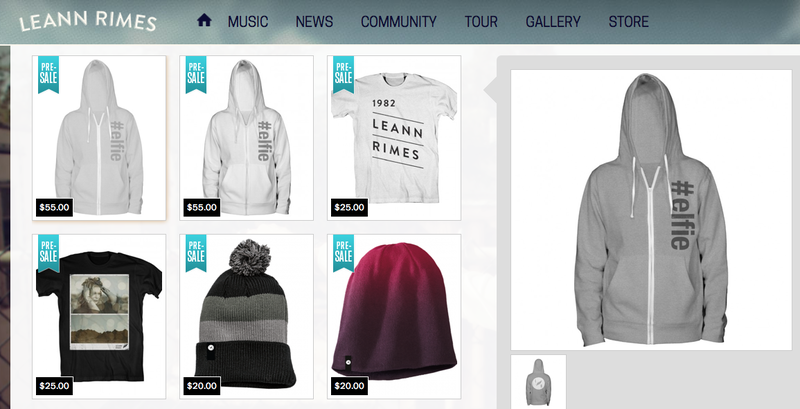 LeAnn Rimes new webstore: Merchandise of the clinically insane! LeAnn Rimes is copying Taylor Swift, no Brandi Glanville, no wait-- she's just CRAZY! Check out her new webstore! We get copying Taylor Swift's 1989 theme, but Taylor does have a CD out with the same name. We get that Brandi Glanville is selling tops and hoodies, so LeAnn had to copy that--But WTF is this '#elfie' crap??? Get help LeAnn, true professional help, not some quack like Dr Drew, but someone who can put you on the right meds and get your head straight!